Pegasus Opera 3 is a fully integrated application of Opera 3 that gives you clear visibility into all stages of the sales process. From the first point of contact, you can manage prospects, convert prospects to customers, manage the customer relationship, report on their profitability and increase your business potential with them, all from one solution. Once a prospect becomes a customer, you can continue to log activities such as mailings, conversations, tasks and promotion. Opera 3 CRM integrates with Outlook, Excel and Word so that you can manage your communications. 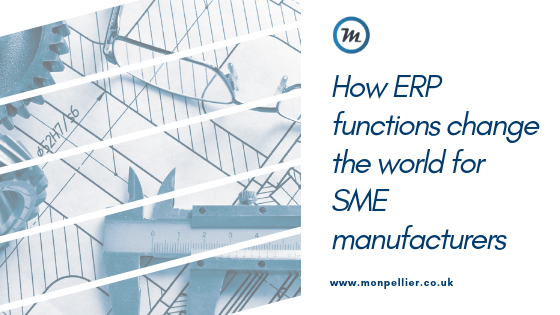 Seamless integration with Supply Chain Management and Financials eliminates rekeying and ensures account information is always close at hand. Opera3 CRM makes it easy for you to generate specific quotations for a customer or prospect. You can also create tailored mailshots using contacts filtered by criteria or pre-defined groups,for more intelligent marketing. It analyses opportunities by referral method, type and competitor. The ability to win new customers and successfully manage existing ones is an essential part of the business growth. Opera 3 CRM is an integrated end-to-end solution which can help your business develop more profitability and increase customer satisfaction by promoting long-term relationships. The sales cycle can be a long and complicated process and it’s easy to lose prospects in the sheer volume of activity your sales and marketing people are generating. With Opera 3 CRM you can capture prospect and contact information, identify the opportunity and closure profitability and increase your business potential with them, all from one complete solution. 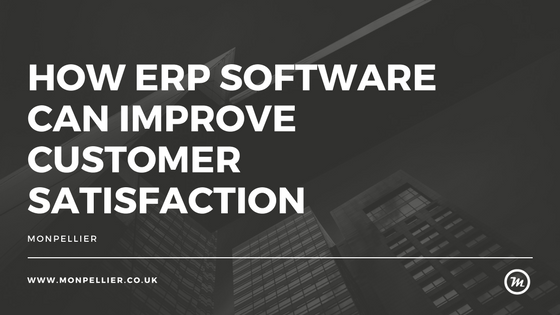 Opera 3 CRM will help to streamline your procedures and manage the progression from prospect to customer, quote to order, so that you will never lose sight of an opportunity of customer again. The ability to track opportunities and accurately forecast against them is essential to business growth. Opera 3 CRM builds a full, clear picture of your sales pipeline and the value of those opportunities broken down by owner, contact, referral method, sales type and area. Plus, the powerful reporting ability of Pegasus XRL allows you to report on all aspects of the sales cycle and analyse any other area of the business using Microsoft Excel. Once a prospect becomes a customer, Opera 3 can convert the record into a Sales Ledger account so you can immediately invoice or convert quotes to orders in Sales Order Processing. The cycle is completes with the ability to continue to log activity such as mailings, conversations, tasks and promotions to existing customers in order to manage these more effectively. When your sales team is out on the road, it is essential to be able to manage CRM data on the move. With CRM Remote, users can download prospect and customer data onto their laptop; they can process, edit and amend contact details and histories, then synchronise the changes back to the central office via the Internet. 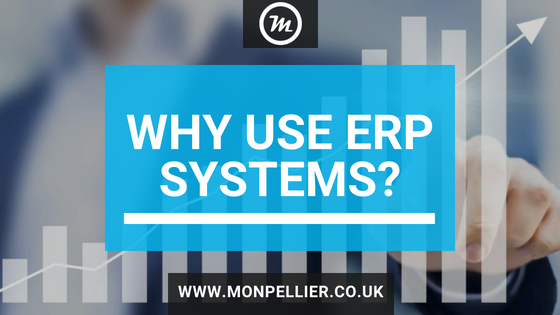 Eliminates the key need to maintain data on several systems. Single point of entry for new prospects and existing customers and suppliers, which can be cross-referenced from the Sales/Purchase Ledgers. 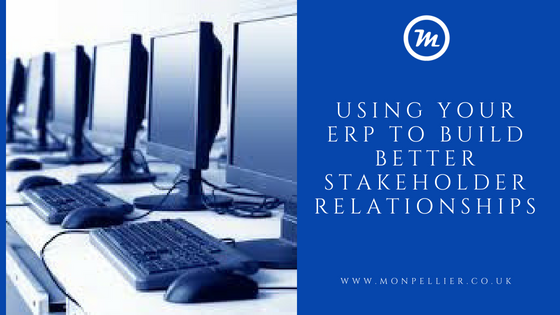 Integrates with Sales Ledger, Purchase Ledger, Sales Order Processing, Purchase Order Processing and Stock Control. Maintains unlimited contact details (including site addresses) within a company. User-definable fields and look-ups for Contact, Company and Opportunity forms. Send emails and import incoming email from Microsoft Outlook. History is automatically updated by activities that take place, such as letters and mailshots. Generate quotations against a sales opportunity. Book appointments with a contact. Send meeting requests via Outlook to internal and external contacts and automatically update your Outlook calendar. Log ‘to do’ tasks against contacts, opportunities or contracts. Send mail merge emails via Microsoft Outlook for a contact or group. Generate mailshots (using Microsoft Word) for lists of contacts/groups. Convert prospect/quotation details to live customer/sales orders. Import or update existing customer and supplier records from the Opera 3 Sales and Purchase Ledgers. Remote access for sales people on the move. 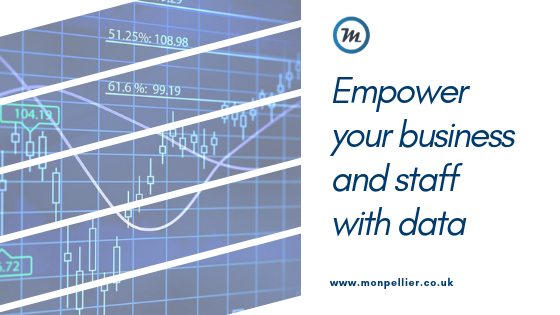 Integration with Excel for sales pipeline reporting, and with Business Intelligence tools such as Pegasus XRL, PIM and Dashboards for analysis. If you would like to discuss Pegasus Opera 3 CRM in more detail, or would like to book a free demo, get in contact with us here, or give us a call on 0191 500 8150 to have a chat with one of our Business Software Consultants. Supply Chain Management (SCM) is an important way to track goods across departments in real-time, which can be a huge advantage. 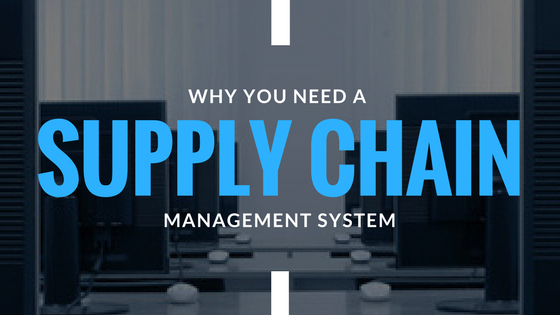 Unfortunately, supply chain management systems cannot do all that companies may hope for. Be realistic about what can be achieved and research into how an SCM could help your business. Customers want their products immediately and at a good price, yet this is not always possible and puts companies under a great deal of pressure to provide customers with what they want. It is not always possible for companies to create both quick and renumerative methods due to the demands of the chain. Due to these demands, companies are often forced to collaborate with countries in which products can be produced at a lower cost. Despite this, delivery times take even longer, therefore may not be beneficial at all. Increasing the customer base can be a hard challenge to tackle in order to expand distribution both at home and abroad. 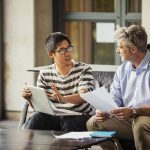 There are a number of factors to take into consideration when doing so, including trading policies, fees, and government policies, therefore is not always easy to get to grips with. 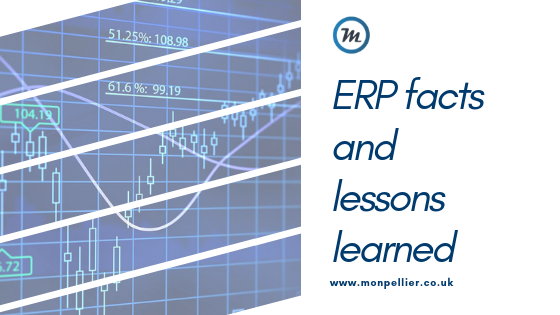 Most of the time, companies are unsure about what stock they own and confusion can arise surrounding whether products have been lost due to their SCM system not being as reliable as expected. Money can be lost easily through these false expectations as there is often too much stock to keep track of which as a result is not being sold. How do you go about solving supply chain management issues? 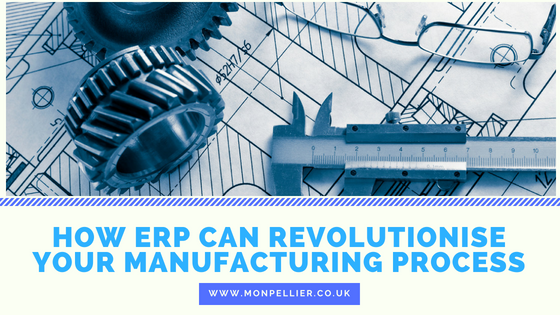 There are many benefits of ERP systems which can manage supply chain management systems, ERP systems can integrate key information and reduce the hard work for companies by keeping them up to date from start to finish. Companies are expected to monitor stock and market products as well as many other time-consuming jobs. 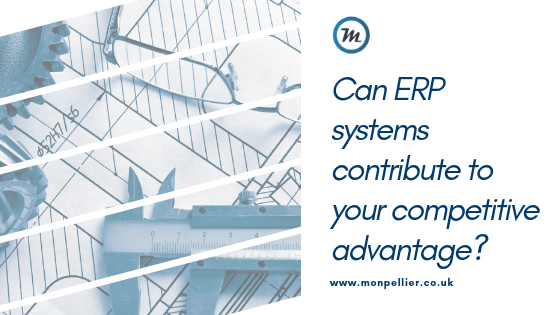 An ERP system offers an easier way to cope with these demands so that companies can get back on track and focus their attention on far more important matters. Increased technology means that any disruptions within the delivery process can be spotted right away and therefore can be passed onto a customer immediately to avoid disappointment. It may be worth finding technical advice from professionals in the know. 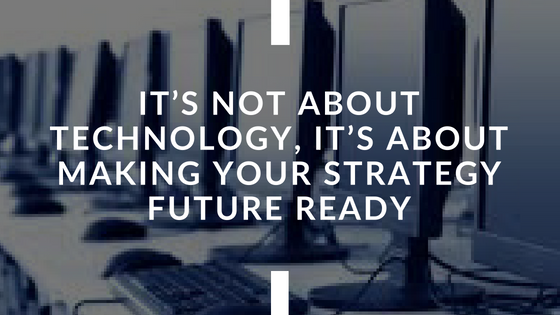 Technology should develop quickly over time due to advancements that are already taking place. 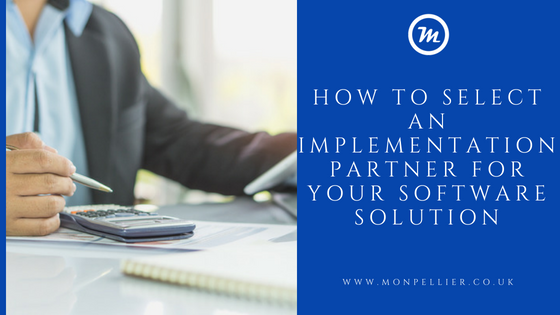 In order to sustain market growth, companies can make contacts to cut corners and ensure that their products can be delivered on time to a high standard. Ensuring that companies have top contacts in global locations ensures that they are working to find efficiency for long-term solutions. This is where Pegasus Opera 3 Supply Chain Management module comes in. In Opera 3 Supply Chain Management, Purchase Orders, Invoices, Delivery Notes and Statements can be batch created as PDFs and emailed directly from within the system using Supply Chain Management. Designed to simplify the way you manage the stock requirements of your business. Sporting various costing methods, it tracks your stock movements – even across multiple warehouses. Quarantine warehouses can be used to inspect goods prior to them being moved into stock and you can also apply different cost and selling prices for each warehouse, allowing you to arrange your stock holding how you like. Generate sales documents, applies customers’ special price lists, discounts and credit limits. Also provides back to back order processing facilities when circumstances dictate, as well as part-progression of sales documents. Allocation and picking provides even greater control over the sales and delivery cycle. Generates purchase documents through to supplier invoices, whilst the re-order facility assists in maintaining and controlling stock at their optimum levels. Multiple supplier documents can be optimised, creating one document for progression to a purchase order. Matching of key receipts and supplier invoices back to the purchase order provides tighter control over stock and financial management. Provides fast and accurate manufacturing information including work in progress, assembly structure detail, where used or assembly cost reports and batch/serial item location from works orders. It features automatic work order generation from sales orders, batch works order progression and a comprehensive enquiry facility. Assembly structures can be simple or complex, including sub-assemblies and components such as raw materials, labour or description only. The kitting function allows further flexibility by enabling works orders to be raised and receive the build quantity of the finished assembly into stock in a single process. Within Opera 3 Stock Control, if an item is subject to landed costs then it is possible to assign up to four Landed Cost Types to that stock record. The sum of these Landed Cost Types will be the additional costs incurred when buying this item from a supplier. For stock records, the Average or Standard Landed Cost prices are displayed together with the Last Landed Cost Price. This information is also displayed on each warehouse, if warehouse pricing is in use. The Last Landed Cost Price is maintained by the system and updated when stock receipts are posted. When a Purchase Receipt is entered the system displays the estimated landed costs. Both the unit cost and the estimated landed cost are used to calculate the total cost of that receipt. The value of the landed cost can be altered by overriding the values on each of the Landed Cost Types assigned to that stock record. A new Landed Costs report is available that displays the landed costs recorded when stock receipts were posted into the system. A Landed Costs Settings report displays information about stock items that have Landed Cost Types assigned to them. The Stock Valuation report, Issues report and Record Sheet report now all display landed costs information, as do the Stock Views and Monitor Companies. A far more accurate way to value your stock. Landed costs postings to the Nominal Ledger ensures more accurate Profit & Loss and Balance sheet reporting. Landed costs are also included in various stock-related processes such as the Stock Valuation Report, for an accurate picture of the value of your stock and profit margin. Maximise profits: set an accurate selling price for goods with the full understanding of the charges associated with bringing an item into your business. Manage your entire supply chain with SOP, POP, Stock Control, Stock Take and Bill of Materials. Carry out stock takes, transfer stock and manage goods in and out. Create Purchase Orders and Sales Orders as well as all of the relevant documentation. Create an unlimited number of stock records across multiple warehouses or stock locations. Manage multi-level assembly.kitting with Bill of Materials. Apply special price lists, discounts and credit limits to customer accounts. 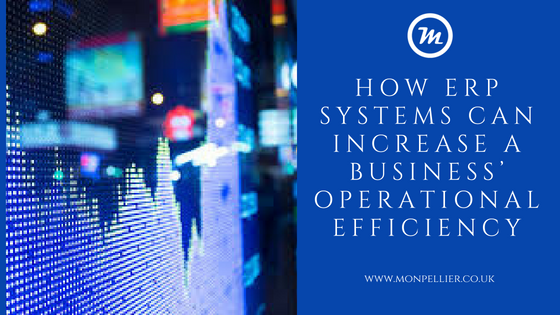 If you think that Opera 3 Supply Chain Management is the solution you’ve been looking for, or if you are after more information regarding accounting software and ERP systems, get in contact with us here, or call us on 0191 500 8150 to speak to one of our friendly Business Software Consultants. Pegasus Construction Industry Solutions (CIS) delivers complete control over all aspects of contracts management, from costing and timesheets through to payment applications, VAT, invoicing and cash receipt matching. Fully integrated into the Sales, Purchase and Nominal Ledgers, Cashbook and Payroll, Pegasus CIS conforms to the requirements and regulations of HMRC’s Construction Industry Scheme. 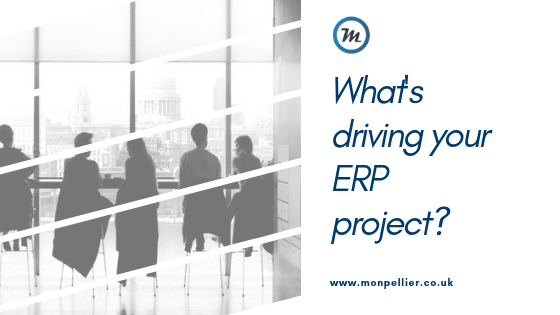 When you consider that the average construction project suffers 150% cost overruns and completes more than 175% late, there’s clearly a great need for software that can help you deliver projects on time and within budget – and transform your business. Pegasus CIS recognises the complex business requirements of the construction sector, offering an unparalleled level of management control over contracts and subcontractors. It integrates with Opera 3, Opera II, Sage 50 and Sage 200. Effective cash management can make a serious difference to the profit on a job. Pegasus CIS Job Costing captures all contract information across every stage of a job and makes it immediately available for analysis. Each job can be divided into an unlimited number of Job Heads, each of which can be linked to nominal accounts for automated journals. Each Job Head will hold separate information on budgets, revenue and costs to date, allowing actual-to-budget variance analysis and reporting. You can set up original and revised budgets, and budgets can be split across periods. 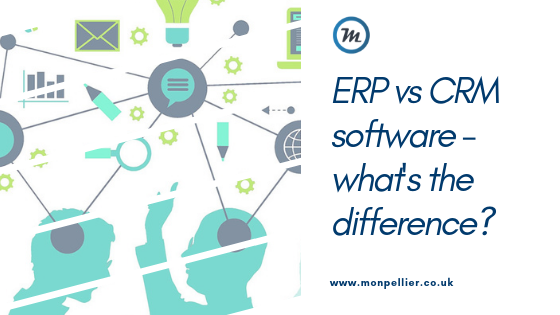 You can also set up revenue budgets that can also be split across periods, allowing cashflow forecasting. All cost transactions are posted to a Job and a Job Head. Job Heads can represent cost categories such as labour or materials, each with an unlimited number of subheads. If more detailed analysis on a job by job basis is required, you can make use of Job Phases (both for costs and sales) to represent the stages, variations or subsequent orders for a job. In addition, jobs can also be linked to a Project to give a further level of grouping and analysis. 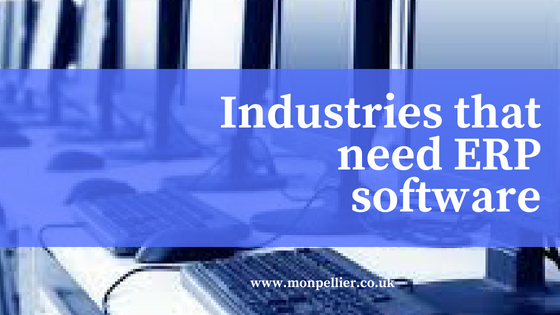 This flexibility allows costs to be tailored in a way that best suits the analysis needs of your business. A detailed audit file is held for all revenue transactions on a job, whether this is from direct invoices or from invoices generated via the payment applications and certification routines. You can also view and re-print any of the historic contract applications. If retention is held against an invoice or a contract, you can report on this and apply for the retention to be released on the correct date. A detailed audit file is held for all costs posted to each job. This information can be displayed per Job, Phase, or Job Head, which can be stored, filtered and grouped, giving instant on-screen analysis of all costs; this in turn can be linked to Microsoft Excel for further analysis. Costs are posted to a job as a detailed transaction with summary totals maintained at Job, Phase and Job Head levels. Flexible on-screen enquiries are available for all transactions. Purchasing requirements for each contract can be controlled and monitored by raising purchase orders to a supplier. Purchase orders can be raised as a call-off against a pre-defined Bill of Requirements for a Job, from stock or generic material group, or as a free text descriptive item. Purchase orders can also be raised to replenish stock, order external Plant or as a nominal posting for overhead expense. Purchase orders can require authorisation prior to being printed or emailed. Purchase orders items can be sorted by criteria such as due date, supplier and job, making it easy to monitor what is outstanding against a job and when it is due to be delivered. Purchase orders are updated as goods are received and invoiced, maintaining an accurate picture of committed costs against the job. The Purchase Invoice Register also allows you to allocate costs directly to the Nominal Ledger, as well as to jobs. Approved purchase invoices are posted seamlessly to the Purchase Ledger. The Contract Sales Ledger seamlessly links to the accounts Sales Ledger to access trading terms and to post sales invoices. Contract Sales maintains details of the current Applications (through valuation, application and certified values) as well as a history of all previous Applications. For added flexibility, a Job can be set up in a particular currency and that currency will be used for all contract sales. Each Payment Application controls current and cumulative Revenue Values, Retention and Main Contractor Discount. Applications can be classed as Interim, Final and Agreed Final Measure. Cash received can be entered into batches and allocated to one or more Certificates. For Certificates, VAT can be taken into account at the time of a payment. For standard invoicing, VAT is recorded at the date of the invoice. A complete audit trail of each Application and Payment is maintained, providing detailed aged debt analysis and reporting against jobs. Knowing when payments are due is critical to managing cashflow, whether these are from certificates, invoices or retentions that become due. The Subcontractors module can be used as an integral part of the cost-capturing functionality of the full Pegasus CIS solution. 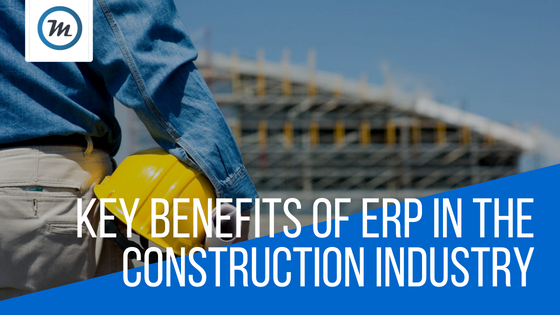 It can also be used as a standalone solution by contractors who only need to control their subcontractors more efficiently and ensure that they adhere to HMRC rules for the Construction Industry Scheme. The Subcontractors Ledger combines the functionality of a Purchase Ledger with the regulatory requirements of HMRC Construction Industry Scheme. Pegasus CIS stores full information on the CIS-approved subcontractors, including details of their Unique Taxpayer Reference, National Insurance or Company Registration Numbers, Verification Status, and default Labour Rates to be used for Timesheet only subcontractors. When engaging new subcontractors it is necessary to verify their tax status with HMRC to ascertain whether they are to be paid gross or net of tax, and of net, whether this is at the standard rate or higher rate. With Pegasus CIS, you can verify these subcontractors online with a simple click. Pegasus CIS will connect to the HMRC website and retrieve a subcontractor’s tax status and verification code quickly and easily. If you don’t intend to use the online service, this information can also be entered directly into the system. Applications from subcontractors are processed in a register, so that incomplete applications can be included in management reports. Each application records current and cumulative values of net, gross, pre-VAT Contra, discounts and retentions, together with details of tax that is being retained against ‘Net’ paid subcontractors, Labour and material content is recorded separately, conforming to HMRC regulations. A separate posting routine is provided for subcontractor invoices and timesheets. If the subcontractor issues timesheets for work carried out, these can be entered; the system holds details of labour rates for the subcontractor/job and applies these at the entry stage. This allows for rapid entry of timesheets, especially if these are split over a number of jobs. Employees and their pay rates are entered in your Payroll solution and are accessible to Pegasus CIS so that timesheets can be processed. Timesheets are posted to the individual jobs and to the Payroll, so that payslips can be produced. These costs can be posted to the job as a net, gross or charge-out rate all with an optional overhead recovery percentage. Linked to the Contract Purchasing module, Pegasus CIS Stock Control provides a powerful way to monitor stock levels and to allocate or issue stock to jobs. 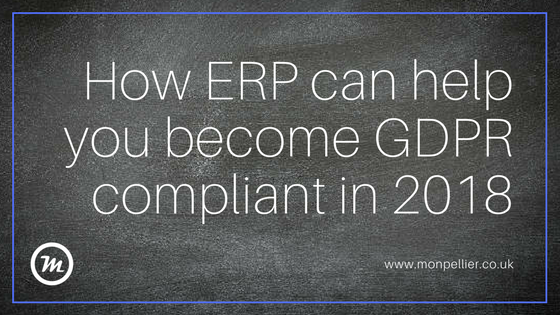 Stock movements are recorded in an audit trail, and costs are posted against each of the jobs. The stock system is multi-warehouse, multi-location and can be broken down into multiple categories and groups. You can assign multiple suppliers to a stock record, define alternative stock codes, maintain supplier price lists, and link Bill of Quantity call-offs to the Job record. Pegasus CIS is a powerful, user-friendly data analysis tool, designed to retrieve information held anywhere in the system easily and quickly. List Views are provided throughout the system so that you can look at any data: your job costs, subcontractor payments, purchase order receipts, or any other area. This data can be stored, filtered, grouped and totalled to be displayed in the format you require.These Views can be linked to Microsoft Excel for further manipulation and saved for future use. Pegasus XRL is one of the most powerful and flexible reporting tools you can find in the market today: it will transform the way you analyse your data. Launched from within Excel, Pegasus XRL allows you to access directly the live data stored within Pegasus CIS. Any data stored in Pegasus CIS can be dynamically interrogated in Excel. This includes use of headers, details, subtotals and footer sections, so you can quickly apply Excel’s data manipulation techniques and diverse range of report styles, formats and printing options to your entire contract costing data. Pegasus CIS has been specifically designed to give instant access to up-to-date information that allows you to manage your contracts. Knowing what is owed and when it is due and who needs to be paid when are critical issues. Pegasus CIS addresses these and many others as part of its effective management of your contracts. 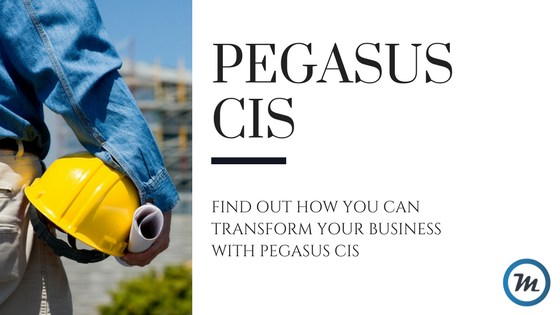 For more information regarding Pegasus CIS, or to organise a free demo, contact us here, or give us a call on 0191 500 8150 to speak to one of our friendly Business Software Consultants. Financials are key to any successful business. Pegasus Opera 3 lets you take control of your business. Its enriched features allows you to get the full benefits of complex financial analysis on all your accounting requirements. From monthly profit and loss to KPIs, all in an instant. Your management reports can even be sent directly to Microsoft Excel for greater flexibility. Financials are core to any business, whatever its size. With Opera 3, you can continually track your revenue when it is due. Equally important, it reminds you who you owe money to and when it has to be paid. You’ll find the visibility of your cash flow invaluable for your profit generation. What’s more, reports from the Financials can be output directly to MS Excel. You can email statements, copy invoices and debtors letters. You can view your sales information in a way that is meaningful to you, as Opera 3 offers Views that you can customise. And, of course, it caters for multi-currency and handles all your customer profiles and trading terms, as well as invoices, credit notes, receipts, refunds and adjustments. The Retrospective Debtors report in the Sales Ledger produces a list of outstanding customer debts as at a date specified, aged according to the length of time the debt has been outstanding. For example, to rerun your Debtors report at 31 December 2017, you simply enter that date and the report calculates the debtors position at that time. The report can be printed and output to Excel. 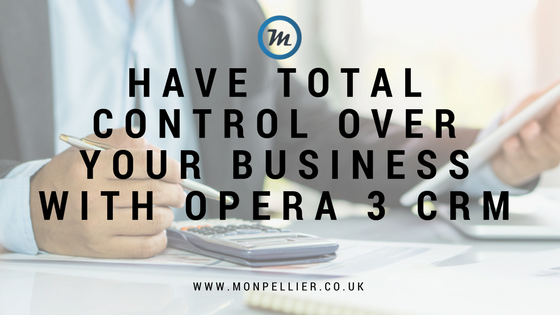 With Opera 3, all your supplier transactions are thoroughly and securely managed from start to finish. Your cash flow is automated and improved with comprehensive cheque and BACs payment routines, email remittances (individual or batched) and the calculation of creditor days. The Integrated Purchase Invoice Register allows invoices and credit notes to be posted and remain in the register until they are authorised, giving you greater control over every document received. Payment workflow is enhanced through BACs and cheque payment routines combined with email remittance. What’s more, with back-to-back processing to the Fixed Assets application, you can create an Asset record when posting an invoice to save rekeying information. Nominal Ledger includes analysis of Account Type, Sub-Type, Cost Centre plus two further user-definable levels as standard, giving you access and in-depth analysis at transaction level for the past 9 years. The Nominal Ledger offers the Open Period Accounting functionality. Transactions can easily be posted from other applications such as Sales, Purchase, Cashbook and Payroll into any open period of the last, current or next three financial years. Other applications post to the Nominal Ledger by either batch update or real-time transfer. Even mis-posted nominal journal entries can be reversed and rectified quickly and accurately. With Opera 3 Costing, you can track job costs and revenues against budgets, and you can break down costs against a variety of categories including Labour, Contractor, Direct Expense, Stock and Interim Billing. Group jobs under contract headings or post against option phase, and stay easily in control. Any timesheets raised for work on jobs can easily be transferred into Payroll to update employee records. If you trade with the European Union there are complex VAT rules you have to comply with regarding the importing and exporting of goods. These rules can be hard to follow and failure to comply can result in financial penalties. To help you, these complex rules are automatically built into Opera 3 EC VAT to make it easier for you to trade in Europe. You can define and maintain the information to produce the EC Sales List and Supplementary Declarations including country codes, modes of transport, terms of delivery, commodity codes and nature of transaction codes for Intrastat purposes. The EC Sales List can also generate an XML upload file for submission via the HMRC website. If you are using foreign currency accounts, appropriate VAT rate codes for EC sales and purchases can also be set up. This application will then collect the information needed to produce the returns for trading with other EU member countries. Keep track of your assets from the minute they become part of your company, right until you dispose of them. Opera 3 Fixed Assets will track their depreciation rates and maintain the correct net book value for them throughout their life cycle. It caters for all types of assets, including Finance or Operating Lease and Hire Purchase or Lease Purchase assets. What’s more, the import routine makes it simple to import existing asset lists from a spreadsheet in bulk. 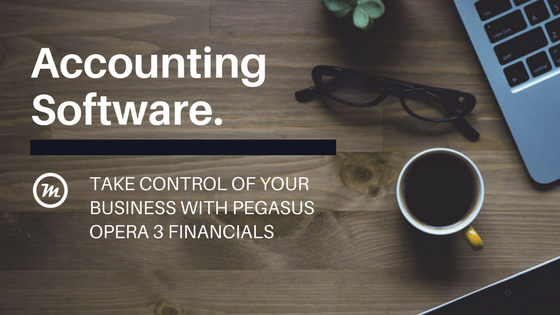 For more information regarding Pegasus Opera 3 Financials, or the Pegasus Opera 3 Suite as a whole, contact us here or call us on 0191 500 8150 to speak to one of our friendly Business Software Consultants.